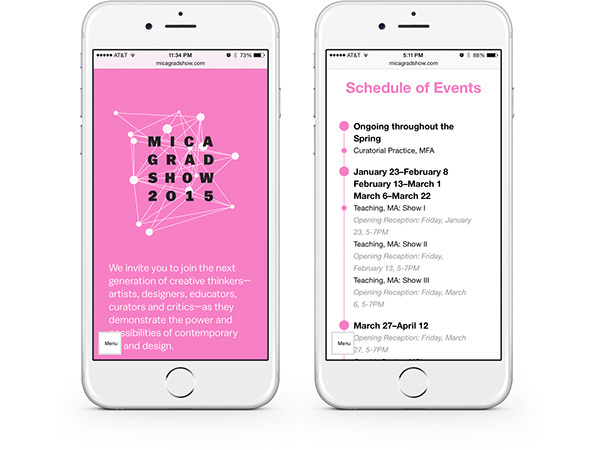 This project, a collaboration between Alex Jacque, Amanda Buck, and Lolo Zhang, was intended to promote MICA’s 2015 Grad Show season. 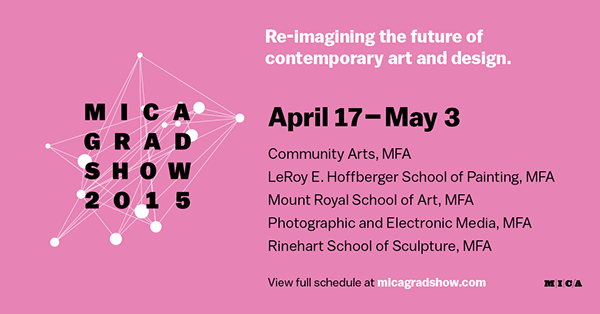 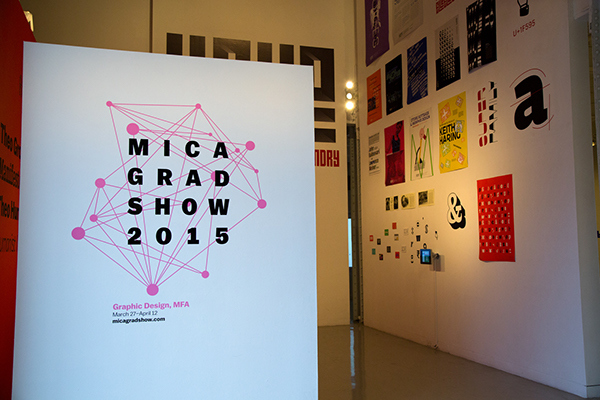 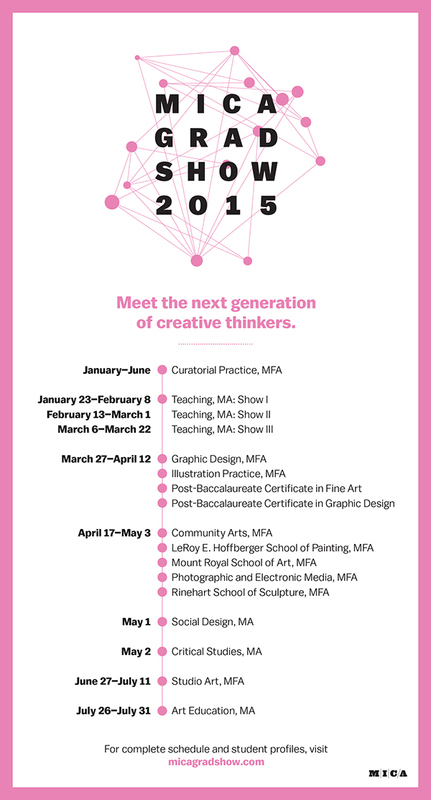 We created a dynamic identity that represented MICA’s fifteen graduate programs in 2015 and promoted the months-long series of shows, presentations, and talks. 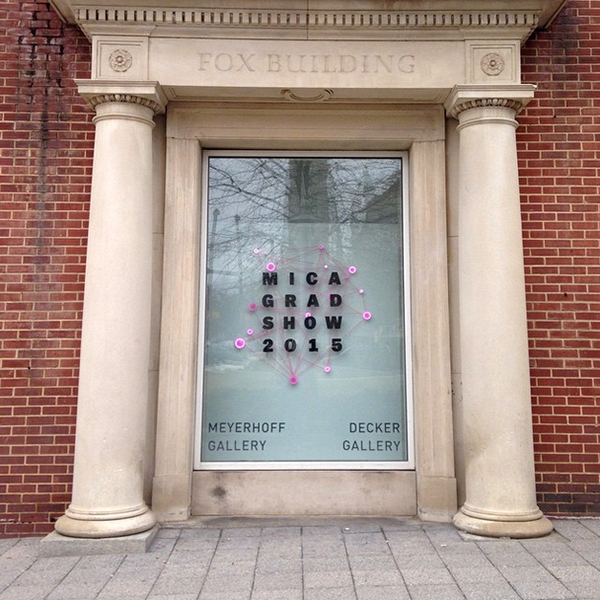 The logotype was set in Balto by Type Supply. 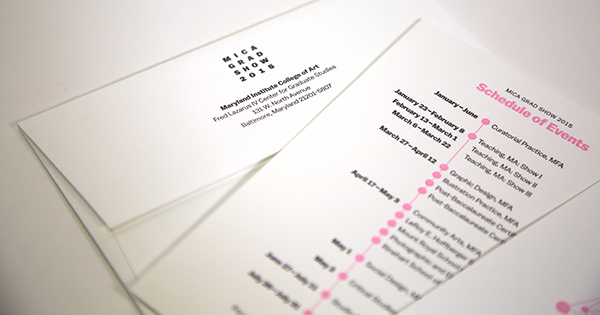 The mark included fifteen interconnected dots, representing the collaborative nature of MICA’s programs and students. 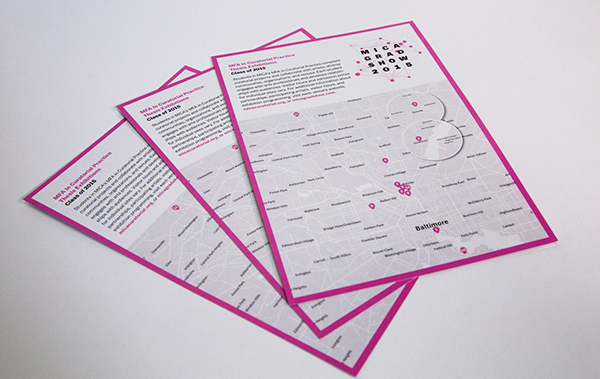 We wrote a custom Paper.js script to add motion to the logo for use on the website. 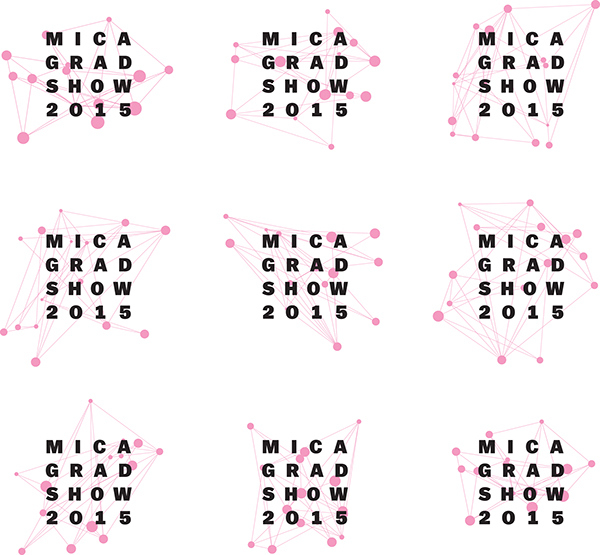 We also created a tool for quickly exporting the logo with the dots at random positions, so that the static implementations were ever-changing. 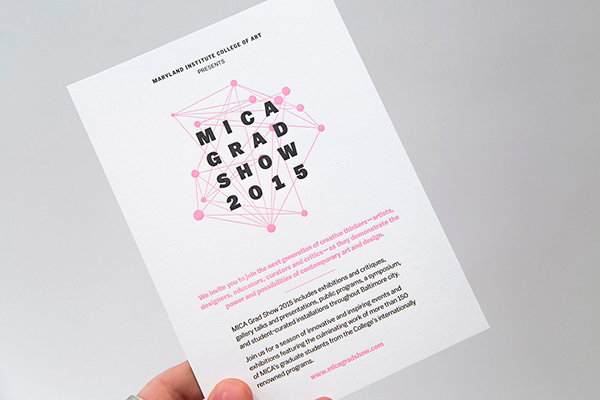 For the promotional campaign, we designed a letterpress-printed invitation, print and digital advertisements, social media share graphics, buttons, and postcards. 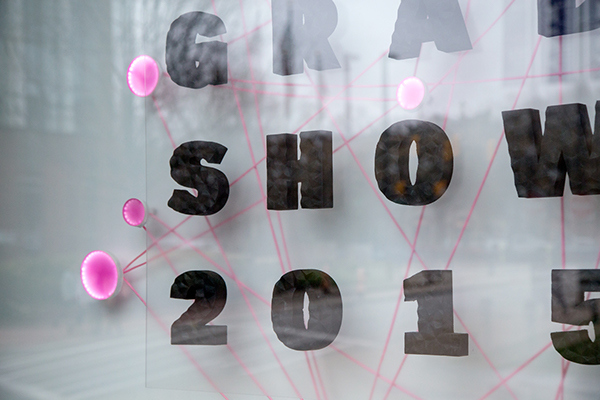 We also created a digitally fabricated sign of the identity—complete with pulsing LED-wrapped pink acrylic dots and a CNC-milled foam logotype. 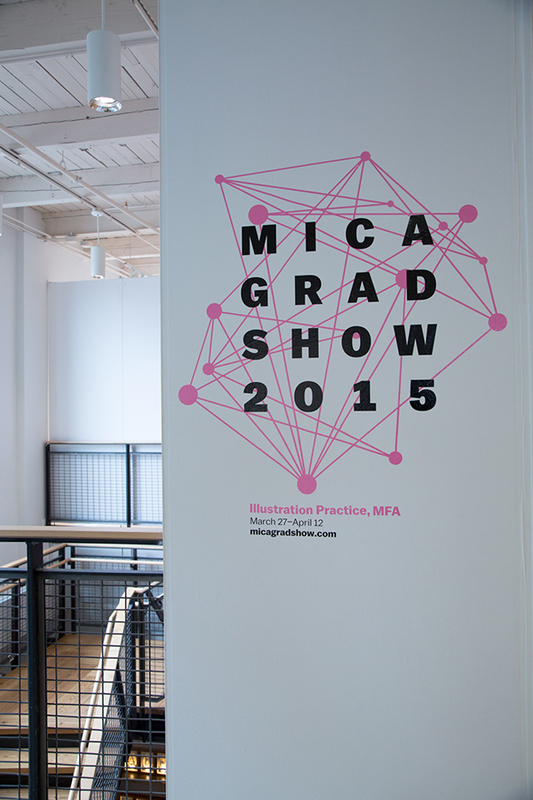 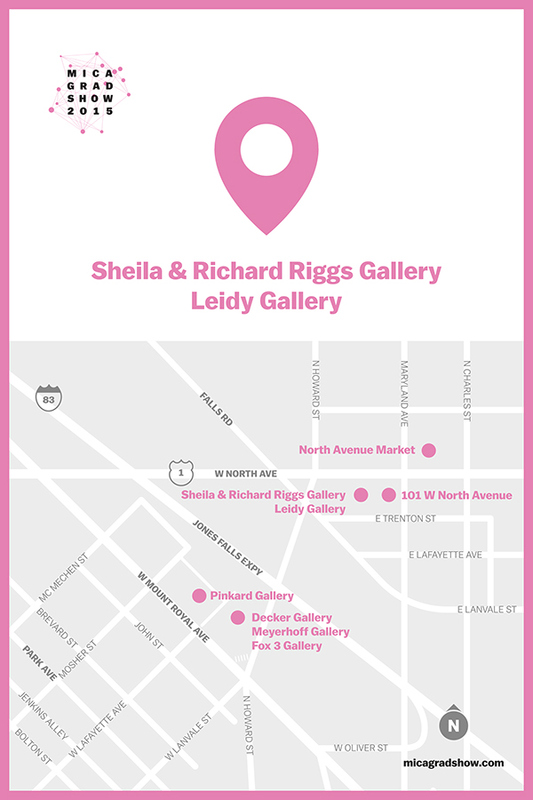 We also designed marquee wall vinyl graphics, wayfinding posters, and the website. 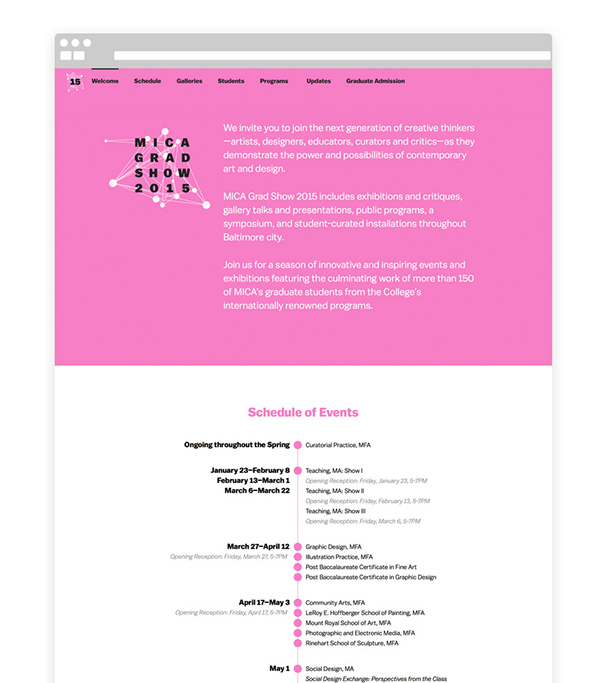 This project was initiated and facilitated by the Maryland Institute College of Art's Graduate Office: Gwynne Keathley, Erin Jakowski, Morgan Kempthorn, and Cristina Goncalves. 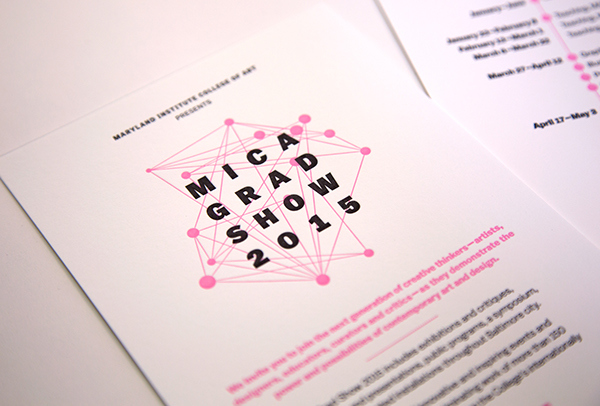 A collaboration with Alex Jacque, Amanda Buck, and Lolo Zhang to create a dynamic identity for Maryland Institute College of Art’s (MICA) 2015 Graduate Thesis Show season. 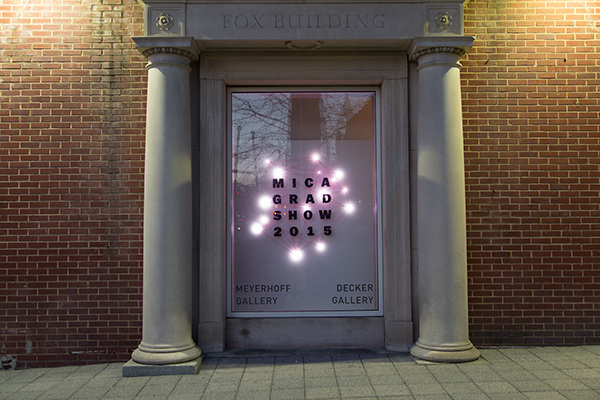 The identity represented MICA’s fifteen graduate programs in 2015 and promoted the months-long series of shows, presentations, and talks.